Introduction – Bloggo ergo cogito et sum…. Switzerland and Japan entertain rather good relationships and our country enjoys an excellent reputation in the Japanese touristic imagination. To such a point that some mangas and animes have either drawn inspiration from some of its folkloric tales like in the case of Heidi [Arupusu no Shōjo Haiji – アルプスの少女ハイジ] from Takahata Isao, or set some of their scenes in the idyllic landscapes that have made Switzerland famous around the world (e.g. : Arcadia of my Youth / Waga Seishun no Arukadia – わが青春のアルカディア, Kishin Heidan [機神兵団]). In Switzerland, Japan has also become a sort of fad, especially in Geneva, the international city par excellence as it plays host to the European headquarters of UN and other related organizations such as the WTO, and Zurich, the center of trendy life in our small country. These exchanges at the local level are in line with a wider trend of cultural influences. Besides martial and traditional arts, other artefacts of the Japanese lifestyle have become increasingly popular in Switzerland these last 20 years. Mangas and animés pertain to this movement by offering media plateforms for experiencing an exotism that isn’t that strange either to a public already quite worked on by globalization. In order to actually better understand these publics, the Manga Study Network has undertaken a survey on manga readers in France, Switzerland, Italy and Germany between 2006 and 2007. It isn’t just about debunking some negative stereotypes and myths about them relayed by medias and some lay discourses. This detailed questionnaire rather aimed at deciphering some of the mechanisms that have led to the present success of mangas in Europe. 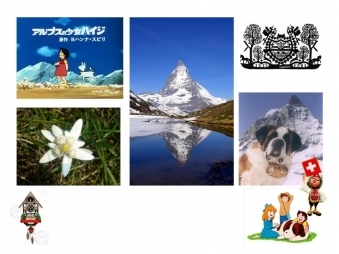 The Swiss survey reveals a more subtle image of the manga fans, far from the otaku stereotype. It also shows the important role played by new technologies in the creation of active communities and the socialization of individuals, who aren’t only consummers, but also often producers of contents as well.